IP valuation is a process to determine the monetary value of the particular IP, be it a trade mark, a patent or a copyrighted work. 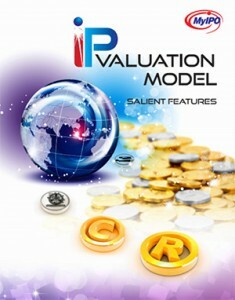 IP valuation is relevant for a myriad of reasons – M&As, IP portfolio rationalisation and assessments, tax planning, transfer pricing, monetising IP including licensing and franchising, joint ventures (JV), sale and purchase of business or IP asset, technology transfer, collateral in financing or IP-backed securitisation, litigation or liquidation. MyIPO firmly believes that having a proper IP Valuation Model and a holistic infrastructure to develop a sustainable and healthy IP Ecosystem would augur well for Malaysia’s series of catalysts for national transformation, and has taken the lead to engage various key stakeholders including regulators, financial institutions and businesses in developing an IP valuation model which provides the much needed clarity and standards for various stakeholders and key players to implement. The result is the IP Valuation Model (IPVM) which has been launched and introduced to the market in November 2013.